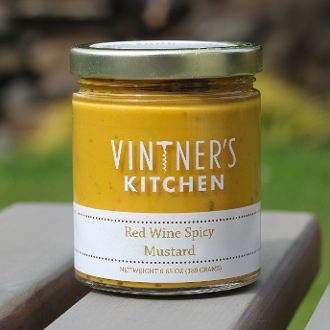 Our Red Wine Spicy Mustard is ideal on a sausage sub with sautéed peppers and onions. This mustard has a kick, plus the appeal of sun-dried tomatoes. It is just right for a Mexican vinaigrette, a spicy potato salad or as a condiment on a Cubano sandwich.